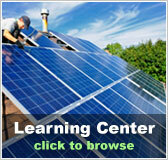 Alternative energy | Solar Panels | Solar Power | Site Map | Bookmark This Site! With the potential depletion of oil resources becoming a reality, many feel that it is time to look for alternative energy sources. While there is a limited amount of oil available, the power from the sun, wind, and other alternative energy sources is practically limitless. 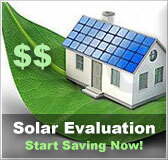 However, there are advantages and disadvantages to these alternative energy options. Here is a quick review of the benefits and drawbacks associated with a few of these sources, including solar power, wind power, and biofuels. 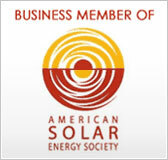 In truth, many fossil and renewable energy sources ultimately come from solar energy. For all intents and purposes, this article refers to solar power as energy that is directly collected from the sun. This alternative energy resource makes use of wind turbines for the conversion of wind energy. Biofuel is any type of fuel that comes from biomass (e.g. living organisms or manure.) Energy is usually obtained from biofuel through combustion. •When food material is used for fuel, it necessitates the competition between man and machine’s respective nutritional needs. 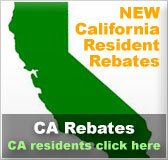 Although more drawbacks than benefits were listed in this article, they are often outweighed. In addition to that, many of the shortcomings related to alternative energy sources will likely be overcome as technology advances with time. Currently, the disadvantages of fossil fuels are being experienced firsthand. In addition to these alternative energy sources, recycling is something we all can do to contribute to the health and preservation of our environment. Re-using natural resources over and over after they have been extracted from the earth protects the dwindling supply of natural resources. Processes used to make consumer goods from recycled material instead of raw resources are much more energy and water efficient and much less toxic.